Redmond and Seattle’s most affordable and fast repair of your broken Apple iPhone, iPad, Samsung Galaxy, Samsung Galaxy Note, Motorola Moto Series, LG Nexus, Oneplus, Sony and now the LG Optimus G3/G4/G5/V10/V20 cell phone. All repairs include a free lifetime warranty covering replacement parts and installation. Don’t have a lot of time? Many of our cell phone repair services can be completed in 30 minutes or even less! Having your device repaired instead of replaced saves you money. Call us today for a fast quote on your next cell phone repair! Repairs include a free diagnostic and battery check ensuring you get the best performance from your tablet or cell phone. We stock and sell parts for the most popular cell phones on the market. We are the only Glass repair center on the Eastside with ability to replace glass Correctly. We have invested thousands in our glass repair lab that uses factory style lamination to repair the glass on most phones. We don’t use dangerous LOCA glue but instead have the ability to laminate the glass to the LCD in exactly the way your phone is assembled at its factory. We can help with software problems, jailbreaking, rooting your devices. We Buy, Sell and Trade cell phones and tablets. Top dollar for clean iPhones! We can also help you with transferring data or even recovering data from a device that has been damaged. Looking to buy a new cell phone? 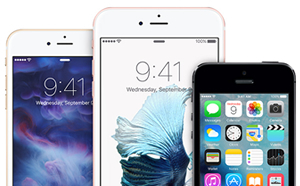 Contact us for a quote to buy your current iPhone, iPad, Galaxy Note or Android cell phone. At One Hour Device Repair, we will not only fix your phone, but most jobs can be completed in an hour or less – No Appointment Necessary. And we guarantee that we will have the best quality. Our prices are as advertised and we do not engage in bait-and-switch like many in our industry! Are you in full-on panic mode because your phone has suddenly stopped working? Are you feeling sick because many of your most prized pictures were on your phone, and you’re wondering if anyone can retrieve them? Being without your phone is seldom an option, so when you need cell phone repair in Seattle, Bellevue, Redmond, Kirkland and other surrounding areas, bring us you phone and we will have it back to you faster than any other service company. Additionally, all of our phone and tablet repairs include a lifetime warranty covering all replacement parts and installation, and we include a free diagnostic and battery check to ensure you’re getting optimal performance from your phone. Apple’s iPhone continues to be one of the most widely used phones in Seattle. 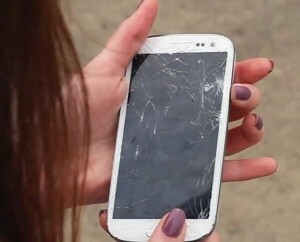 An iPhone repair may be necessary if you dropped your phone and the screen cracked. Another common problem we encounter is when a person gets their phone wet. While some customers are hopeful that a complete iPhone repair will be possible, others simply want to retrieve all of their personal information and photos from their iPhone. When you bring your iPhone into our shop for service, we can usually get the job done while you wait. Not only will we have your iPhone repair done quickly, but we also guarantee the best value and top warranty. However, the truth is that other companies are trying to match our low prices. Are you in need of an iPhone repair? Why go without your iPhone when we can have it working in mere minutes? Call us at (425) 869-6999 and find out more about our iPhone repair options. If you use your iPad for work, and it suddenly stops functioning for whatever reason, then an iPad repair is not something you MIGHT consider, it’s something you MUST do. You might be worried that an iPad repair could take days or weeks, and if you have an important project due then you just don’t have that kind of time to wait. At One Hour Device Repair we can finish most iPad repair jobs so quickly that there is no reason to leave our store. This means that an iPad repair won’t get in the way of your daily life. No reservation is needed, just stop into our store or give us a call, and we will explain our iPad repair services in detail. All of our work is guaranteed and we offer very competitive pricing. Why wait when you can have fast, reliable, and affordable results? Contact us at (425) 869-6999 to find out more about our comprehensive services. We can fix your device at your home or office.